We gave Optimum Nutrition Gold Standard 100% Whey Protein a perfect rating of 5 out of 5 stars because it’s one of our absolute favorites. This product is very high quality and can be a perfect pairing to help reach your personal goals. In particular, this protein powder is best used to help increase lean muscle mass, boost overall gym performance, and aid in crucial recovery and repair. The protein source is 100% whey, and has 24 grams of protein per serving. The main ingredient is Whey Protein Isolates (WPI), along with ultra-filtered Whey Protein Concentrate and Whey Peptides. WPI is very pure and is quickly and easily digested in the body. This is very important for muscle growth and recovery because your body needs that spike of amino acids in order to heal and grow. It also has 4 grams of Glutamine and Glutamic Acid and 5.5 grams of BCAAs (Leucine, Isoleucine, and Valine). These also boost protein synthesis, stall fatigue, and encourage an increase in muscle strength. This product tastes great and is easy to mix up. It’s super convenient and can be taken at any time of the day to help with your gym performance or meet your daily protein requirements. I also didn’t see any side effects while taking this protein powder, which is greatly appreciated! It’s low in fat, calories, carbs, and sugar so it can help you stay clean while gaining strictly muscle. This product is more expensive than average, but it still has a great value. Overall, this is a very high quality protein powder and gets a 5/5 rating! Optimum Nutrition Gold Standard 100% Whey is one of the easiest protein powders to use. It mixes up better than the vast majority of other proteins. It’s even designed so that it doesn’t require a shaker or blender! You can mix this one right up with a plain old spoon, which is a lifesaver when you’re running out the door. Use 6-8 ounces of water or your favorite beverage and combine with 1 rounded scoop. Mix for 30 seconds with a spoon or 25-30 seconds in a shaker. It comes out as a great consistency and isn’t chunky or gritty at all. I tried this protein powder in the “Delicious Strawberry” flavor and it definitely lives up to its name. I thought it tasted great! If you love strawberry, you’ll definitely like this protein flavor. It’s not overly sweet, like some powders are, but offers a rich strawberry flavor even when just mixed with water. To increase the taste, mix it with your choice of milk (almond, coconut, low fat) and it winds up being a strawberry milkshake treat! Breaking down the macros, this protein has 24 grams of protein, 1.5 grams of fat, and 3 grams of carbs per serving. This combination is great for building lean muscle and aiding in recovery and overall performance. Each serving is 1 rounded scoop and has 120 calories. Overall, it’s very low in calories, carbs, fat, and sugar, which all help pack on lean muscle instead of bulk. Gold Standard 100% Whey uses quality ingredients that make it stand out among others. The primary ingredient and source of protein used is Whey Protein Isolates (WPI). This form is a very pure and high quality whey. It can be more expensive because of this reason, but you definitely get your money’s worth. It also uses ultra-filtered Whey Protein Concentrate and Whey Peptides. Whey protein is ideal for muscle growth and recovery because it’s easily and quickly digested. This gives you the rush of amino acids that your body needs. It also has over 4 grams of Glutamine and Glutamic Acid in every scoop. These assist in protein synthesis, have anti-catabolic properties, and help increase muscles contractibility. There are more than 5 grams of naturally occurring Branched Chain Amino Acids (BCAAs) Leucine, Isoleucine, and Valine in each serving. BCAAs help increase muscle growth over time, prevent fatigue, and promote muscle synthesis. This protein powder is also low in fat, carbs, and sugar, making it great for lean muscle growth. It does have milk and soy, since it’s a whey protein powder. I didn’t have any negative side effects when taking Optimum Nutrition Gold Standard 100% Whey. I actually felt great the whole time I was taking it, which isn’t the case with all protein powders. I didn’t have any bloating or belly pain whatsoever. There are milk and soy (lecithin) ingredients in this powder, so be careful if you’re sensitive or allergic. It also has sucralose, an artificial sweetener, which some people report seeing some minor bloating or stomach pain with. Once we we’re done testing out this particular protein powder, we think it’s best if you’re looking to build, maintain, and repair lean muscle. There are 24 grams of protein per serving, which goes a long way for muscle growth and recovery. It also can help boost overall performance. This protein powder is also convenient because you can take it as pre-workout fuel, a post workout recovery drink, or any time during the day to help reach your protein needs. 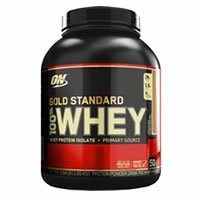 For a 1-pound bag of Optimum Nutrition Gold Standard 100% Whey, it costs $28.49. There are 14 servings per 1lb bag. This works out to be 11.79 cents per gram of protein. That’s more expensive than average. However, the quality of this product is definitely worthy of the higher price. I think it’s a great value for the price and you can often times find it cheaper at other online retailers like Amazon.com. I really love this protein powder but one thing I was disappointed to see was a lack of a guarantee. This is a bummer because I like when companies can stand behind their products with some sort of 100% money back or satisfaction guarantee. They do offer a 30 day return policy if 75% of the product is unused, so at least that’s something. If this is the case, then they will refund your purchase to the original form of payment. 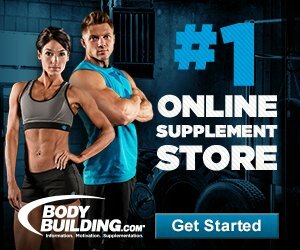 To buy Optimum Nutrition Gold Standard 100% Whey Protein, click here.